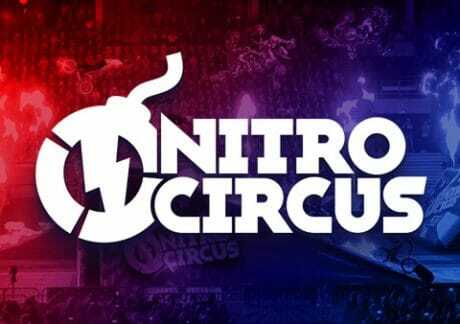 Rev up your enjoy for a chance to win a cash prize of up to £6,000 in the £30,000 Nitro Circus Tournament at NetBet Casino. Even if you miss out on the top 300 leaderboard positions, you’ll still have a chance to win a prize. The top 500 performers will all gain entry into a special draw where 99 more prizes are up for grabs. The first 2 names out of the hat on the 7th of December (2018) will get £500. All prizes in both the tournament and draw are in cash and don’t come with any wagering requirements. 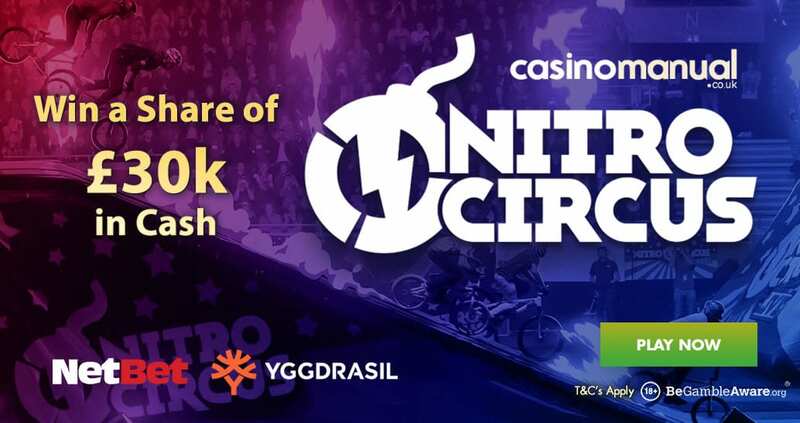 Nitro Circus is an adrenaline fuelled 5 reel, 25 payline video slot from Yggdrasil Gaming that’s based on the famous stunt bike collective. This is the Scandinavian developer’s first ever branded title and comes with the high-end sound and visuals we’ve come to expect plus some innovative extras. Look out for Nitro Wilds that can turn up to 9 symbols wilds, a bonus round where up to 30 free spins are awarded complete with added wilds and multipliers and the Nitro Jump where even more free spins, multipliers and cash prizes are up for grabs. If you enjoy the petrol head theme and video slots with plenty of unusual extras, then you’ll want to take a trip to the Nitro Circus. Take it for a spin over the next few days at NetBet Casino and it could earn you a pre-Christmas bonus of some £6,000. There’s a tidy and exclusive welcome bonus on offer to new players at NetBet Casino. Make a deposit using the code EXCLUSIVE1 to get a 100% match bonus up to £200 plus 25 NetEnt free spins. Then make a second and third deposit using codes EXCLUSIVE2 and EXCLUSIVE3 respectively to get 75 and 100 more free spins – these can be used on any NetEnt video slot – including Vikings!